Mark your calendars. We've got you covered for the summer of 2018 in YEG. A night of art, music and creativity. Free live music, outdoor patio, a food street, art market, art making workshops, and more! North America's largest free outdoor art & design festival. A free summer patio party! $5 menu, urban beekeeping demonstration, and live music! Live Hip Hop Show + Art Showcase + Live DJ + Great Vibes. An opportunity for all those who love and support Edmonton's music and arts scene to come out and celebrate together. 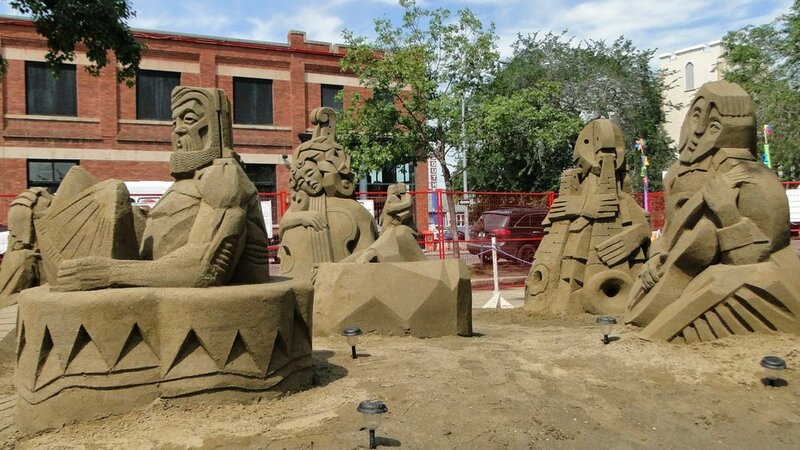 Award-winning sand carving artists will create an exhibit with 50 cubic yards of sand. View these masterpieces coming to life! Mr.Eazi live in concert performing top hits on the Happy Boy Tour. Beautiful models showcase handmade Mexican clothing alongside performers, live music and lots of surprises! A night filled with Edmonton's finest entertainers and hottest fashion designers that will grace the stage. A brand new Kitchen & Bar opening on Jasper Avenue and 117 St. Be sure to check out their comedy nights hosted by the hilarious Sterling Scott to be announced shortly! Come live through Edmonton’s finest AfroHouse DJs and indulge in a night of House. Offering a range of smoke products paired with a speciality drink menu, AMG Lounge offers an experience like no other. 9910 and La Connexional partner up to offer people the chance to sing to their favourite African, Caribbean and/or Latin(X) tracks. An outdoor studio and gallery featuring hundreds of working artists. A networking opportunity for local creatives to meet and interact with one another. Unicyclists, puppeteers, tightrope walkers and acrobats unleash their outlandish street theatre acts. Celebrate the rich and diverse cultures of people of African descent in the heart of Edmonton. A taste of Edmonton's food scene, try foods from 50 locally owned restaurants and food trucks. The ultimate house vibes. We're jammin'. Annual celebration of Canadian Multiculturalism. Set in the lush river valley with the city skyline as its backdrop, the festival is an annual gathering and outdoor music festival. 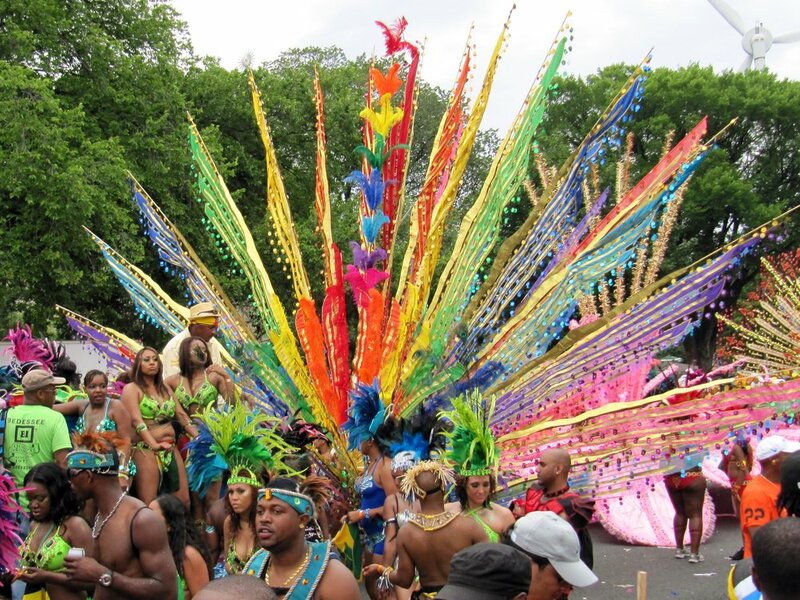 Experience bright colors of the Mas Bands, flamboyant costumes and masqueraders parading down Jasper Avenue to the beats of the Caribbean. A cultural blast of dynamic and innovative theatre performances. Creative Mornings presents CEO of Soul Search Canada, Blen Kusmu, to chat about community. Experience health, happiness and increased well-being through the words of inspirational guest speakers in a creative environment.